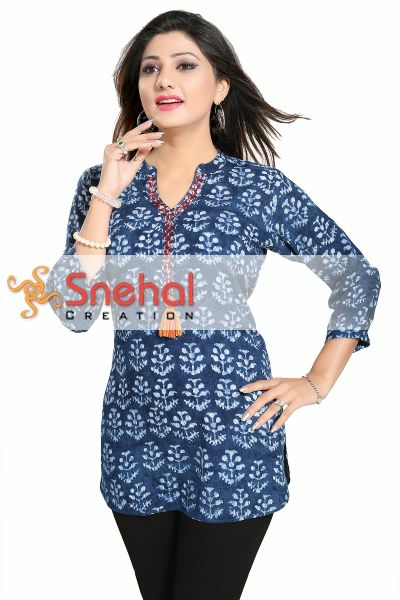 A celebrated name when it comes to Latest Kurti Designs, Snehal Creation requires little introduction if at all. Making waves with constant innovation as a powerful tool, Snehal Creation has made a tremendous impact in the way female fashion has been looked upon in the Indian sub-continent, which has helped the company grow manifold since its inception. An escalating growth story and soaring popularity among retail houses has not in the least affected the product quality at Snehal. With avant garde designing, consistent accuracy of sizes and excellent materials used, the fashion house wins over the end user. This consistent growth in business has also enabled the company to bring down the manufacturing cost and thus benefiting the customer by offering Ladies Kurtis and Tunics at competitive pricing. 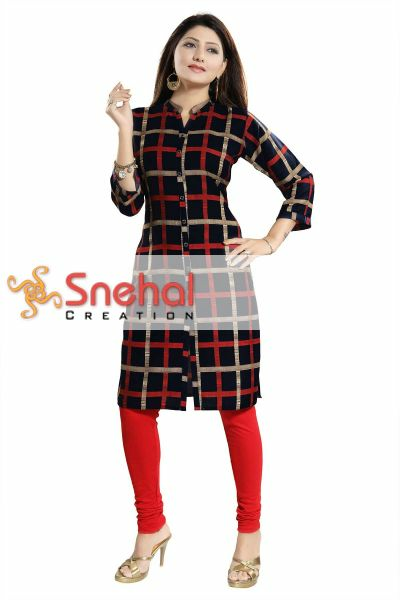 Today, more than 500 Ladies Kurti Designs are live on www.snehalcreation.com for re-sellers and sell like hot cakes because of their extra ordinary appeal among women of India. By combining the cuts and construction of the traditional with contemporary conceptions of futuristic India, they create sumptuous high-octane fashion kurtis. 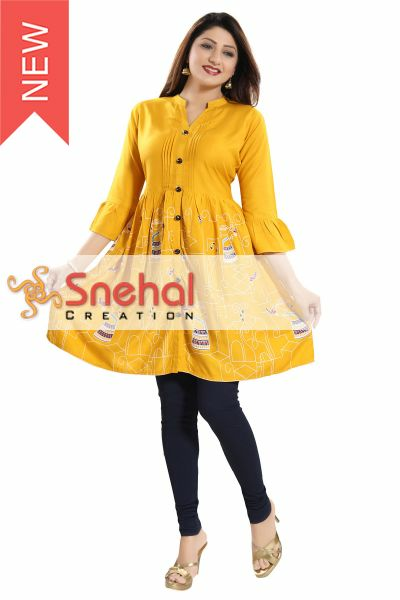 The design team at Snehal Creation does a lot of research and focuses on creating new trends kurtis and tunics so that it looks fabulous on a 16-year-old teen girl as well as on a 60-year-old lady. The company has unwaveringly adopted an independent and authentic way forward. Their unique philosophy has helped the company gain nationwide prestige in recent years for being unmistakably modern, feminine and discrete. 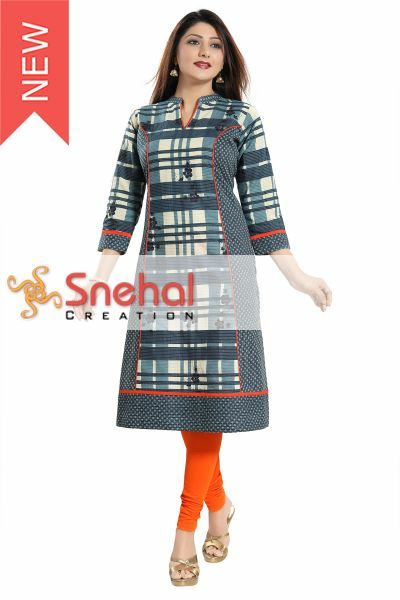 Snehal Creation creates fashion for a woman with personality and charisma. Snehal Creation is not just to be seen, it has to be felt to understand it's quality. It is wearable fashion, not just for special occasions, but also for everyday wear and the collection is strongly characterised by the mobility of our time. This is fashion that satisfies the demands of modern women from dusk till dawn, seven days a week. Clear shapes and simple lines are the fundamental basics of the Snehal Creation and creative flair is expressed unobtrusively in each and every piece. The basic aim is to create diffusion and designer tunics which are Indian in construct, yet, international in appeal. The collections embody an international look which is contemporary, chic and personifies grace. 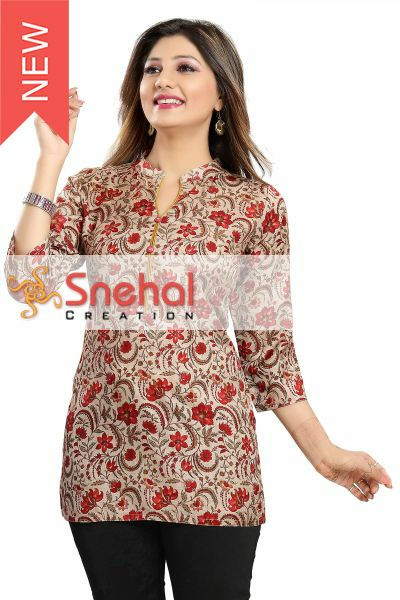 The Snehal Creation team believes that with designer kurtis, you need to keep the price factor in mind. It needs to be affordable, easy to wear and able to connect to a lot more people. This is one brand that has taken over it's competitors in no time and has become the leader in designer Kurtis and Tunics segment. That's where the company's punch line proves itself "New Era of Designs."